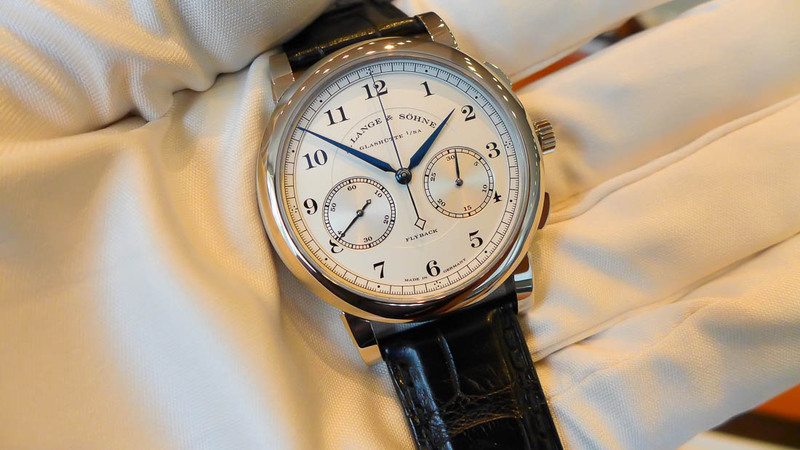 A fateful day for A. Lange & Sohne, and a grateful day for many who have grown with the brand over these past 20 years. With being the key word. 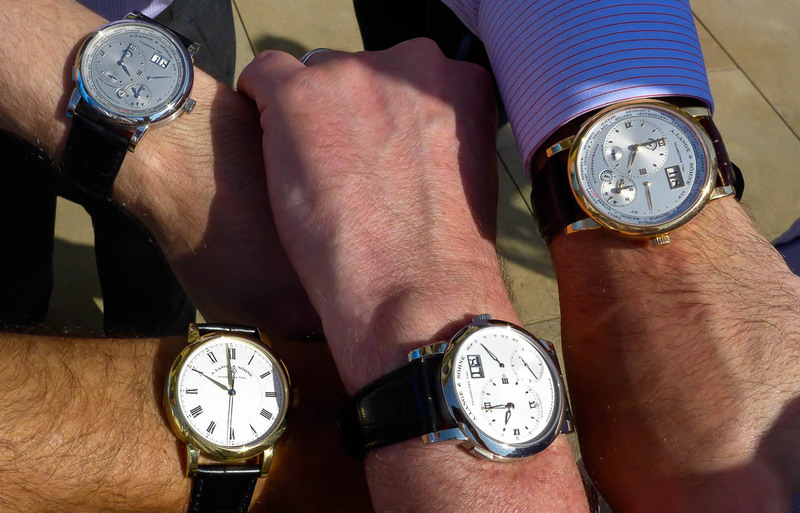 As Lange is a manufacturer that cherishes and nourishes its friendships, whether you own a Lange or not. I was fortunate to be in Dresden for the 20th anniversary celebration. I had visited the city and the manufacturer the the summer before last and was deeply impressed with the factory and all of the people who work with the brand. 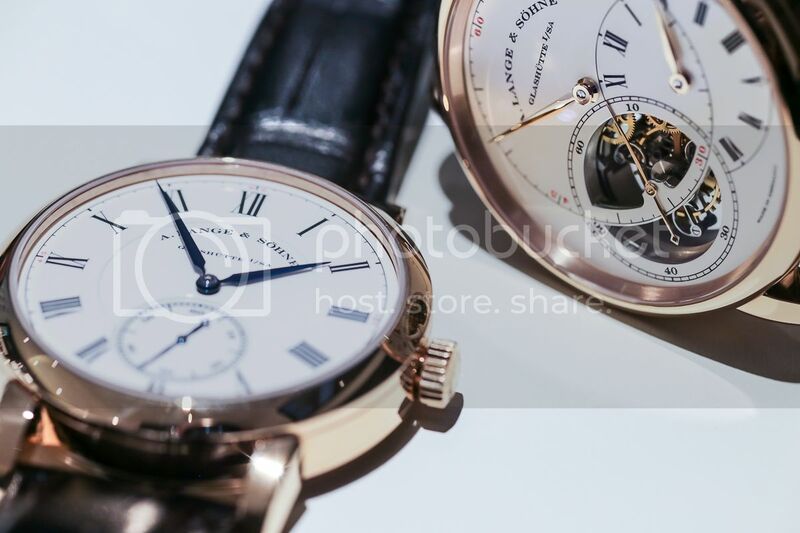 Before the celebration at the Dresden Castle--where the announcement of Lange's return took place 20 years ago--we had the opportunity to photograph some of the recently announced pieces. But first, we stopped en route in a watch store that had none other than #11 of the Tourbillon Pour le Merite, one of the original pieces in the 1994 collection. 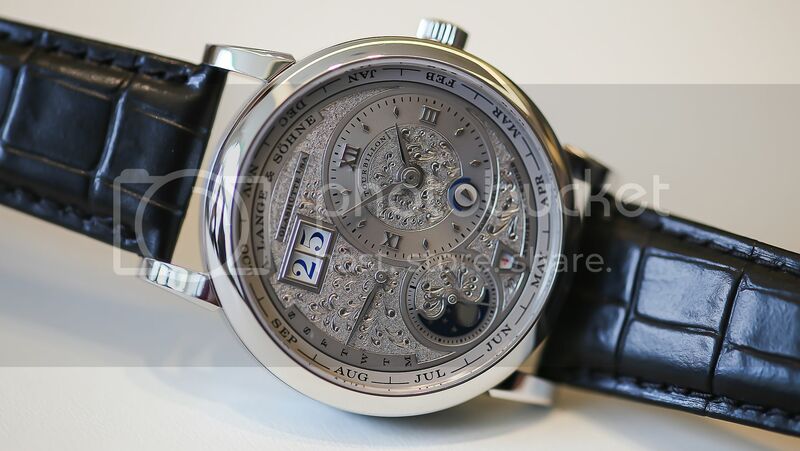 The Richard Lange Tourbillon Pour Le Mérite in white gold with blue hands. This boutique edition is my favorite iteration yet. This piece had been a universal hit. 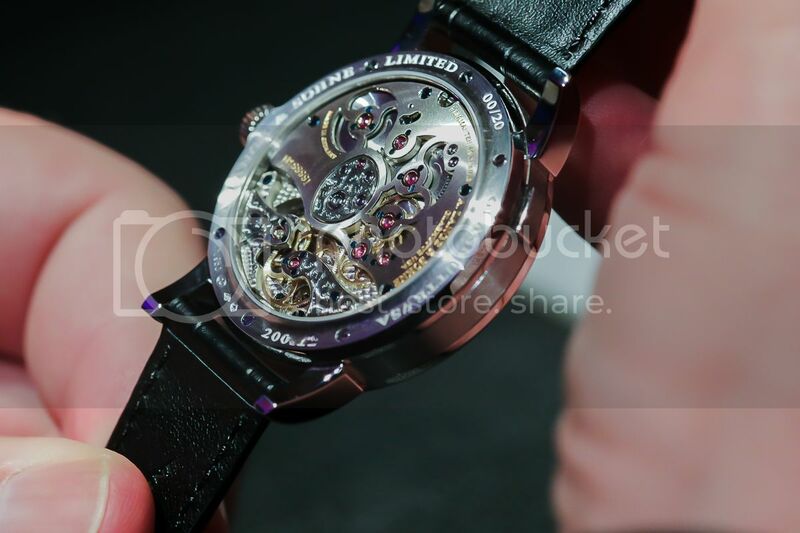 At 38.5mm x 10.2mm, the proportions work beautifully, and on many wrists. 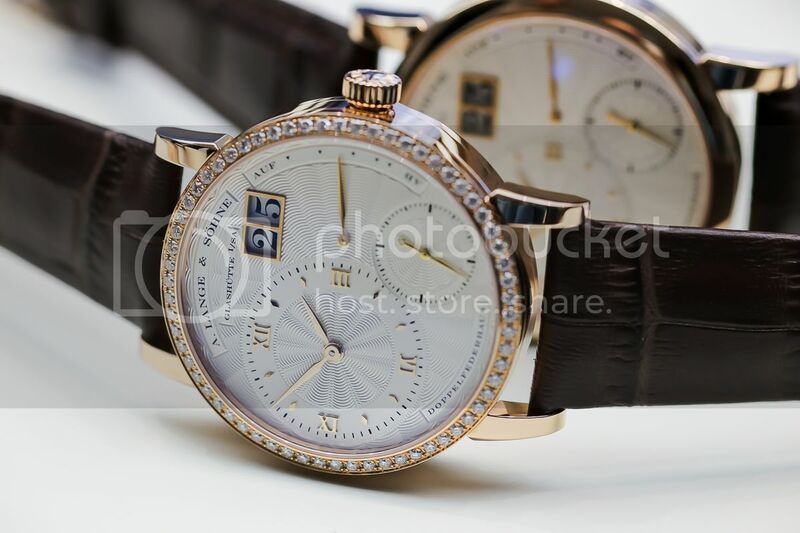 And the big announcement in advance of the 20th Anniversary, the 5-version Lange 1 Anniversary sets for ladies and men. 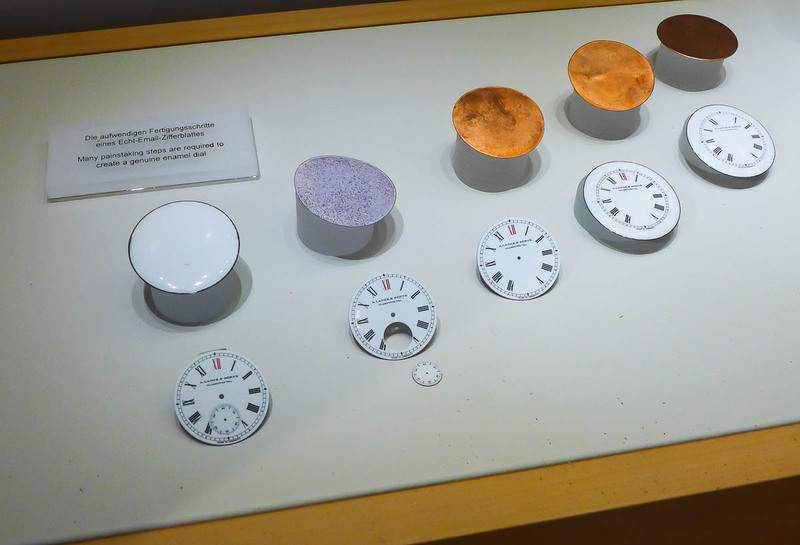 20 pairs of each Lange 1/Little Lange 1, which has drawn a bit of grumbling from the "only me" collector. What can you say? When Lange treats you like family, they treat you as family. 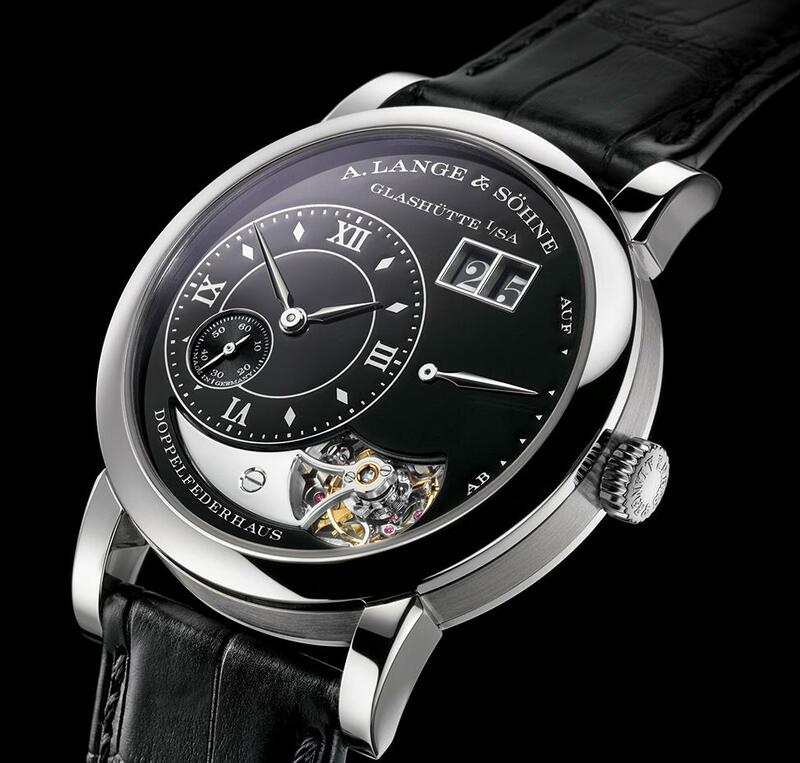 The pinnacle of "Couples Therapy"
The Lange 1 is an iconic masterpiece by any interpretation, but we have seen the guilloché dial before. These aren't a great stretch for the brand. But perhaps as a pair, the statement made is: Enjoy your time together. And bottom line, they are just stunning in person. A 20-piece edition in platinum. And yes, already sold out. 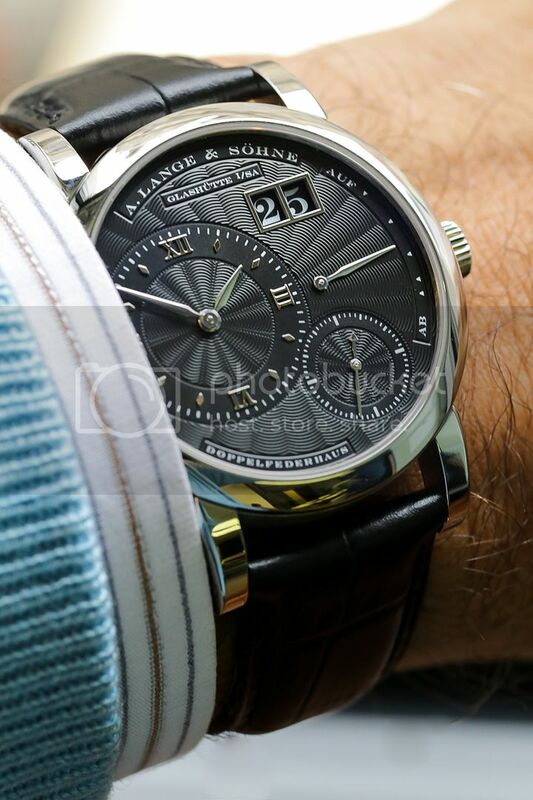 Translated as "hand-worked", Lange has already produced several of these extremely limited Handwerkunst pieces with extensive dial treatment. Over the dinner that followed, company CEO Wilhelm Schmid gave a moving talk, during which he thanked everyone for making the brand what it is today. 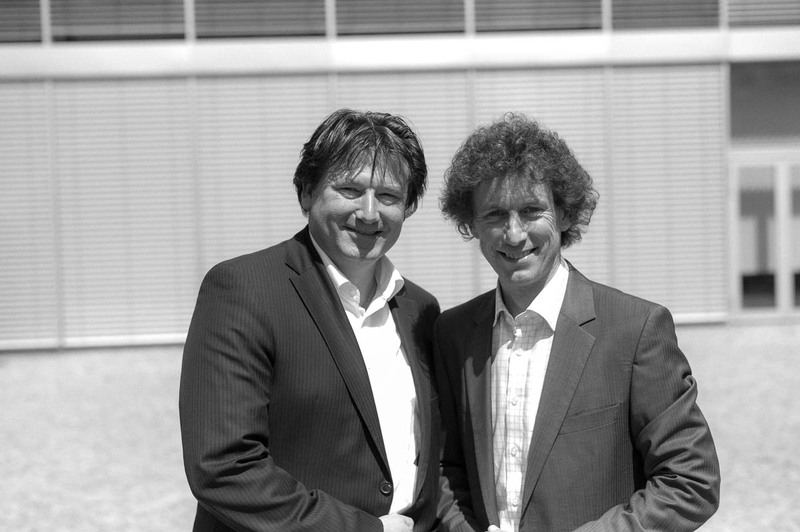 With a very special thanks to Mr. Walter Lange, who resurrected his family's watchmaking company at the age of 70. 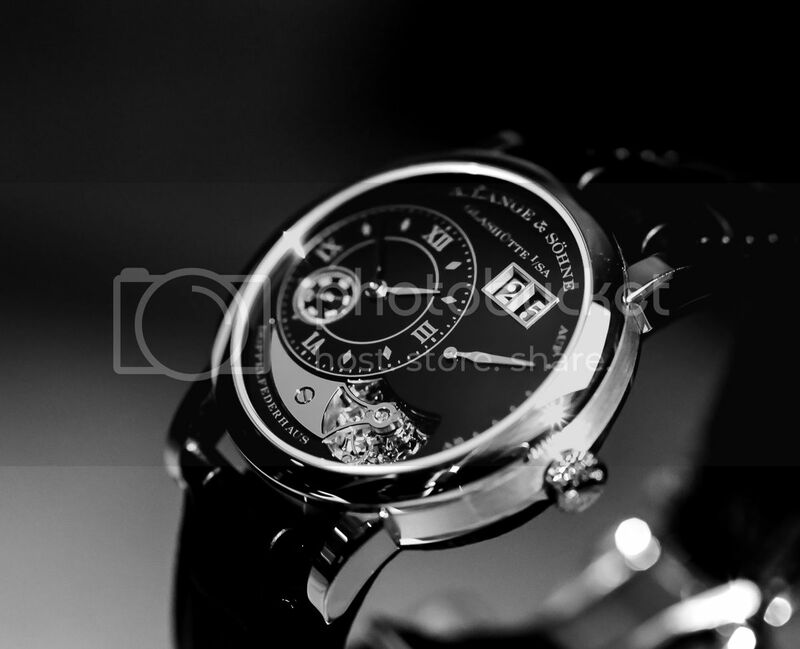 And 20 years later, is producing some of the finest watches anywhere. 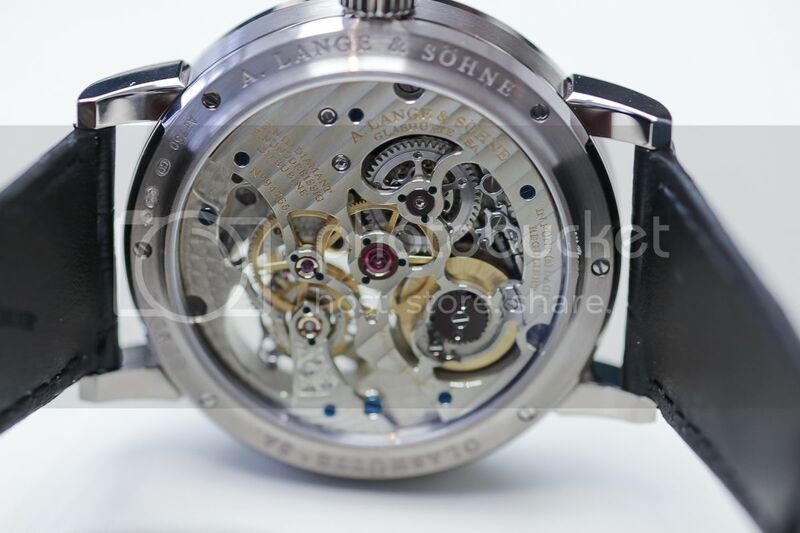 Thank you to the North American team at A. Lange & Sohne for making this possible, and a very Happy 20th Anniversary to A. Lange & Söhne!